If you have an emergency, STOP, and go straight to the nearest emergency vet or exotic vet in your area. Do NOT waist precious time online during an emergency. It could be time needed to safe your pet's life. Hurry! Get offline and go! Disclaimer - I am not a vet. The information listed below has been collected from reputable breeders, owner experience, rescues, and personal experiences. Please consult with you family vet if you're in need of advice. Thank You. This is the first ailment I would like to cover is Heat Stroke / Heat Exhaustion. Chinchillas need to be kept cool, approx. 65 - 70 degrees year round. 75 degrees F being the absolute warmest. When creeping up in temperature you will start to notice your pet becoming less active, or laying on his/her side more frequently. 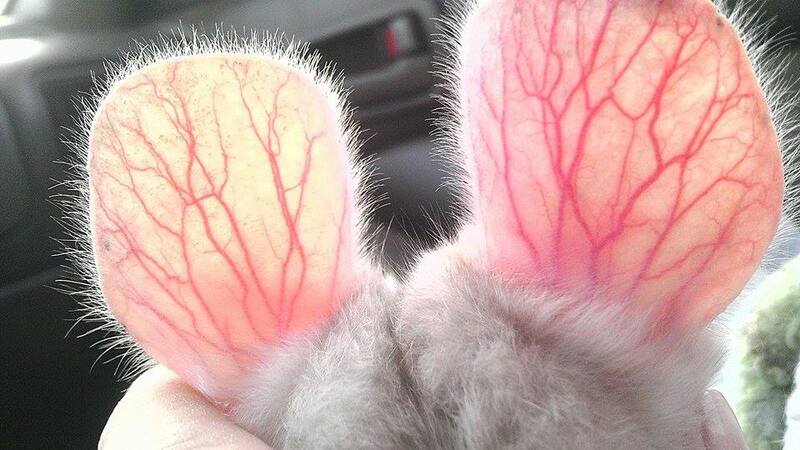 A tale tale sign of heat exhaustion is bright pink or red ears, for some chinchillas you may even see the veins. Another sign is labored breathing. As a owner, it's your responsibility to provide a safe environment for your pet. Keeping your home below 75 degrees F year round is critical for keeping your pet alive and well. However, we understand ACs blow out or something happens like a power outage, and in those cases you should be prepared. If you suspect heat exhaustion/stroke the first thing you should do is cool your pet down. 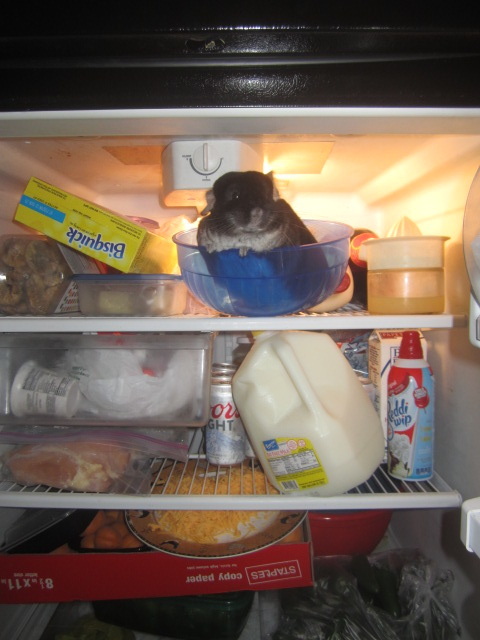 Fans do NOTHING to cool down chinchillas. They only circulate warm air. In a emergency like this there are a few suggestions we have to offer. 1. Place your pet in the refrigerator with the door open, and supervise. Allow your pet to acclimate. 2. Hold your pet in front of an open freezer. Do not set your pet inside the freezer. 3. Hold an icepack onto your pet's body. 4. If none of these options are applicable, break the "no water" rule and set your pet in a tub of cool water. Be careful to keep your pet's head out of the water. You do not want to get water in his/her ears, or nose. Do not use ice cold water. If your pet does not show any signs of improvement rush to the vet immediately. If your pet does go back to normal be sure to watch him or her closely for signs of neurological issues. If you suspect something is wrong, go to the vet. It's always wise to check up with your vet. Photo Credit Amber Gold, This is a tale tale sign of heat exhaustion. If your air conditioner is broken, or you're suffering a power outage, I suggest calling up your exotic vet and having your pet boarded there for their own safety until power is restored or you have been able to have your AC repaired. Other options would be to have your pet in a carrier and sit in the car with the AC on if you think your AC will be on soon in your home. If you're located in the central valley in California. . . 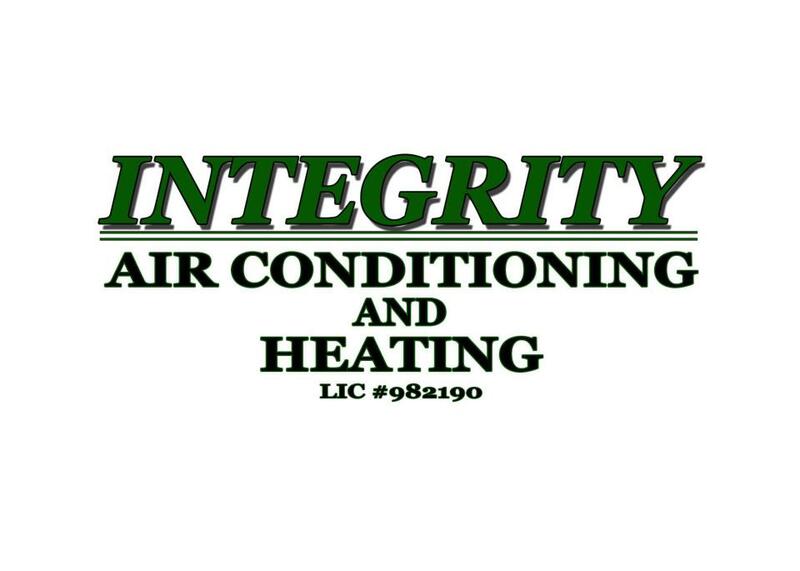 If you're having a issue with your heating or cooling unit please contact Integrity Air Conditioning and Heating. Dave is one of the best in the business and known to be a perfectionist. If he's going to do a job, he's going to do it right or he's not even going to do it at all. You can take comfort knowing that your in good hands - Plus I stress the importance of a properly running AC unit for any Chinchilla owner. A hot chinchilla is a chinchilla in distress. Paulette, Dave, and Jesse will treat you right.